The ocean breeze lightly glided through the open doorways of the Torquay Hotel, where Duan & Only appeared midway through his set on the corner stage directly underneath the gigantic Corona sign. Before him, The Hot Springs took to the stage, and resident local and owner of Waves Music Co., Jimi Crisp, played a DJ set. The function area was filling up as quickly as a soft serve cone from McDonald’s as Duan & Only serenaded the crowd with a cover of ‘Kiss’ by Prince to close out his set. Within minutes, luscious blonde beach locks appeared through the heads of the punters, wearing suntanned skin and a pearly white smile armed with an acoustic guitar. 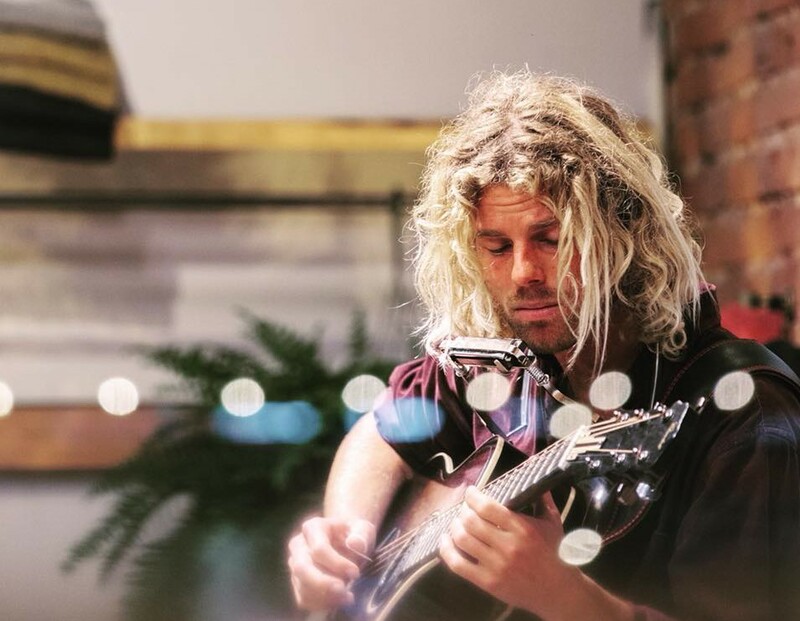 Kim Churchill blended right in with the local surf coast crowd but on the stage he was a majestic beast, unlike anything the gawking audience had seen before. I’m not the spiritual type, but I feel like Churchill has been here on this planet before. His connection to his music and to the land is undeniably pure, his wisdom beyond his years is eye opening and the way his raspy, yet silky soft voice swoops in and out of his crisp guitar chords is almost heavenly. With Secondhand Car and The Border played early in the set along with the loved Window To The Sky later on, a barefoot Churchill stomped his kickdrum, swooshed his wind chimes, slapped his guitar, howled his vocals and even whistled the harmonica through a packed set list to a packed room. The lucky punters were able to hear a preview of his upcoming album with a track he recorded in Berlin with the single set to released February 8. If his uplifting live performance and previous albums are anything to go off, his new music will be incredible.